Cathy McGowan is the current Independent Member for the federal seat of Indi. 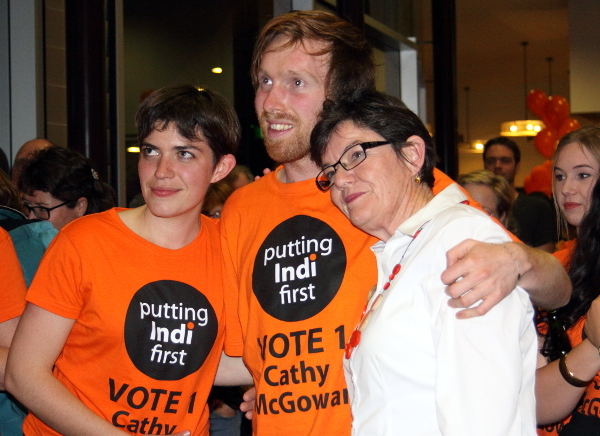 Supported by community group Voices4Indi, Cathy won the seat from Liberal, Sophie Mirabella in 2013. She retires at the 2019 federal election having served two terms and has endorsed the Voices For Indi (@voicesforindi) supported candidate for Indi, Helen Haines. Cathy McGowan is a pioneer. Her ‘kitchen table’ conversations model of building community engagement in politics and the ‘voices for Indi’ movement have inspired communities & independents around Australia. Her vision of genuine representation grounded in core values and her tireless efforts to educate Indi’s citizens on how our system works and how to participate in it is an inspiration for all politicians who want to serve. I’m so proud to have helped document Cathy’s journey from her historic campaign to beat Sophie Mirabella in 2013 to her farewell speech today. As always, Cathy is breaking new ground. Her community has chosen her successor, and she will do everything she can to help Helen Haines take her place in Parliament. Cathy, you’ve enhanced our democracy. Love you. Hello everyone and thank you for coming. Six years ago when I rose to make my first speech, the gallery was full, my community was engaged, supportive and present. I was nervous. Today, as I rise to make my last speech, it’s much the same. To the people of Indi and this Parliament: thank you for enabling us to be the change we want to see! And there is more to do. Since that first speech I have delivered 525 speeches, 15 Private Member Bills, asked 74 questions without notice, moved 35 motions, and 18 amendments to legislation. Over 4600+ school students have come to this place, 225 volunteers worked in my Canberra office, 4 ANIP interns, on average 15,000 constituents a year have sought help, support and advice from my office, and community members — more than I can count — have offered support, advice and shared their wisdom. I have grown in confidence and courage. But at the beginning — after agreeing to stand as a candidate, I was nervous, worried and anxious. And then we won by 439 votes. Now I was really nervous, worried and very anxious. And I was determined to deliver. I wanted to prove that my community had done a good thing, the right thing, in backing me. It was deeply personal. There had been a fierce competition to get here and stay here. It required emotional courage, strategy, skill and huge community effort. The expectations were enormous and heavy. I have taken the responsibility of truly representing the community very seriously. our voice has been heard. To the major parties — listen up — Independents do get things done and every time any one of you says the opposite, the people of rural and regional Australia will remember these words: “Independents deliver and marginal seats matter”. Just look at what happened in Indi. Our community is more confident and this is important for investment for jobs and regional growth. Confidence is important for our young people and families who in ever increasing numbers are making the decision to return home to North East Victoria. Engagement across all levels of the community has grown with more and more people stepping up to leadership positions. I am delighted that the community and especially our young people are now more engaged; they are signing up, turning up and speaking up in greater numbers. This active participation in democracy is paying dividends for the whole community. Right across the electorate things are getting done and significant investment is taking place. Funding of $235m for the North East train line was most welcome as was the 52 mobile phone towers, numerous regional infrastructure projects, the regional deal for Albury Wodonga; Wodonga Junction Place, Tallangatta redevelopment, Wangaratta aquatic centre, Alpine streetscapes, (the controversial Wangaratta hospital $20m – thanks Dan Andrews and the Victorian Government); infrastructure jobs in Benalla; Mansfield stadium and heavy truck bypass; Kinglake streetscape, Corryong Memorial Hall and pool. The list goes on. And to my work in this place — the commitment I gave my community was that I would strive for good governance. It is evidenced in the parliamentary work I have been involved in and which I mentioned at the start of my speech. I am proud of efforts in changing the rules about vulnerable witnesses and rules governing gender dysphoria. A second highlight is private members legislation for the National Integrity Commission, and a code of conduct for all members of parliament recognised that our community expects more of its elected representatives. I was proud to work with Griffith University and Transparency International Australia, and the Accountability Round Table to introduce this legislation. A senate committee is due to report these bills tomorrow, and today in Melbourne Transparency International will release an assessment of Australian national integrity systems. I call on all sides to commit the required resources to do this right! This is unfinished business. My Private Members Bill for an Office for Regional Australia made sense; working with the Member for Mayo for a Minister for Young People made sense; representing my community on refugees and my support for the refugee Medevac Bill was the right thing to do. This is all unfinished business. I am proud of the inquiries into regional development and decentralisation and regional higher education; excellent examples of consultation and collaboration. This work is also unfinished. 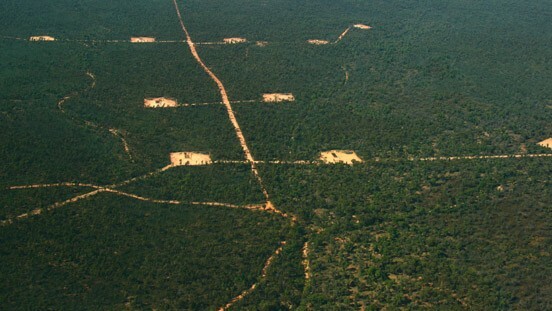 We haven’t been able to do as much as we wanted to in this place, but we did manage to save the Australian Renewable Energy Agency and Clean Energy Finance Corporation. Climate change and its mitigation remain major issues for my electorate. So many of these pieces of legislation have been seconded by my colleagues: the Member for Mayo Rebekah Sharkie, Member for Denison Andrew Wilkie, and Member for Melbourne Adam Bandt. I acknowledge the capacity of the crossbench to work together and towards agreed goals. In my first speech I committed to making a public statement in this place to recognise and acknowledge past mistreatment of our Indigenous community. I am proud to say I did this in the first year of my first term. I also committed to improve public transport infrastructure, access to telecommunications and health services, and work to reduce the red tape that hinders the growth of businesses in our cross-border regions. There as been progress in all these areas. I committed to bring the voices and community of Indi to Canberra. I committed to a vision for a prosperous and caring community where businesses grow, agriculture flourishes and where everyone can reach their potential. These are great steps forward, and there is more work to do. Words are inadequate for some things that are so deep and lasting — you know who you are and you know what you have done. To all my colleagues in this Parliament, MPs and all their staff, I appreciate the warmth and welcome that you extended to me, beyond all expectations. I have received friendship and professional support from all MPs. Everyone in this house has added value to my work. I make a special mention of the ministers who have visited Indi, we noticed! To all the wonderful staff who make this place function so the MPs can do their work; thank you. To the members of the crossbench — my special colleagues. We have worked well together, reflecting the diversity of Australians, always working respectfully and generously. I make a special call-out to the people of Australia to pay attention to the extraordinary work done by this small group, our cross-bench. May you grow and multiply. May you all win your seats with increased margins! May you continue to be the voice of reason, the voice of the marginalised and forgotten. To my staff — past and present — many of them are here today looking wonderful. I acknowledge your dedication, persistence, tolerance, loyalty, tact, diplomacy and courage. You have been my arms, legs, eyes and ears, heart and soul. To my family: It is a truism to say ‘I need you and I am better because of you’. Thank you to each and every one for the personal support, the phone calls and debrief on the way home from Canberra after huge weeks; to the niblings for their advice and wisdom — particularly during the marriage equality debate. To the communities of Indi who heard the call and rallied — a huge thank you. Your belief, trust and courage have made this ‘crazy brave experiment’ possible. It’s because of you that I am here. Thank you to the media and in particular the media of regional Australia and Indi. You turned up to the post-parliamentary Friday ‘pressers’ and we had regular catch-ups where your desire for accuracy made our Indi world a bit better. The Community took a risk in voting for me. Not once but twice. However, today it feels less risky to vote for an Independent, and more like a sane, sensible alternative for the one third of the population that lives outside metropolitan areas, and others of course. To the people of Indi, we have called the government to account and we — all of us — need to continue to hold the next government to account. I have worked hard to help the major parties join the dots on regional and rural Australia, to help them understand our potential, that we have the answers to address many of the nation’s issues — crowded cities, energy prices, innovation and employment. We have one third of the vote — let’s use it. 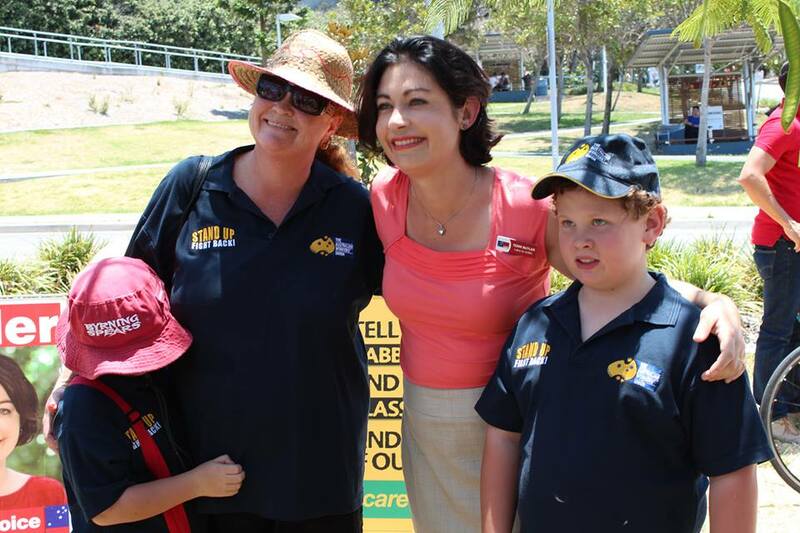 Regional communities are ready to work with government and the government needs to take the time to listen to us. That’s why, through the Regions at the Ready report, I have been advocating for a new approach to regional policy. We need regional dealmaking and strategic planning, a strengthened Regional Development Australia network and we need a white paper for Regional Australia, one that is developed with communities in regional Australia. I make a special call out to the young people of regional Australia. It was the young people of my electorate who got me here, who spotted the potential, who dragged me into the digital age of social media and who provided the consistent inspiration to be my best self. We love you and want you to come home to build wonderful lives, to create and innovate amazing jobs, to be the change you want to see. My call to the young people of regional and rural Australia is don’t get mad, get elected! And for every organisation in Indi — look at your leadership — where are the young people? Are you passing on the baton? I extend an invitation to you all to attend the launch of my sister Ruth’s book, Get Elected, a step-by-step campaign guide to winning public office, at 1pm on the Queens Terrace. For me, it’s time for the succession plan to be implemented and I welcome to the house Helen Haines and wish her well — a nurse, midwife, matron and PhD in Public Health, an exemplary candidate and I ask my colleagues to extend to her the same warmth and collegiality you have given to me. Helen is the change we want to see! Respectful, engaged, clear in her motivation, a community grassroots candidate. And to the end — the single and most important lesson for political and community engagement is to be part of a team, to turn up, sign up and speak up, to put your hand out to others and give them a leg up. I have run one leg of the relay and the Independent baton carries a precious legacy for our future. However, I am not going away, I am merely taking a step back in the Independent relay and allowing others to step forward.